In 2011, Mr. Daniels received the TCIA Award of Merit, the highest honor bestowed by the organization to an individual that has positively impacted the practice of arboriculture. His years of volunteer service to industry organizations including TCIA, ISA and the National Arborist Foundation are just one example of his pivotal role in advancing the field of arboriculture. The F.A. Bartlett Tree Expert Company was founded in 1907 by Francis A. Bartlett and is the world's leading scientific tree and shrub care company. 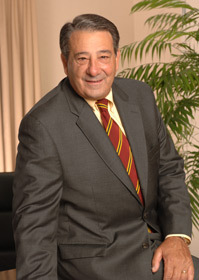 The organization's current chairman, Robert A. Bartlett Jr., represents the third generation of Bartlett family management. Bartlett has locations in 26 U.S. states, Canada, Ireland and Great Britain. Services include pruning, pest and disease management, fertilization and soil management, cabling and bracing, tree lightning protection systems and tree/stump removal. Its corporate offices are located in Stamford, Connecticut.